Anyone using their digital cameras to capture video has had the realization that the LCD screens built into the cameras might be good enough to review stills, but they’re woefully inadequate when working to compose video. 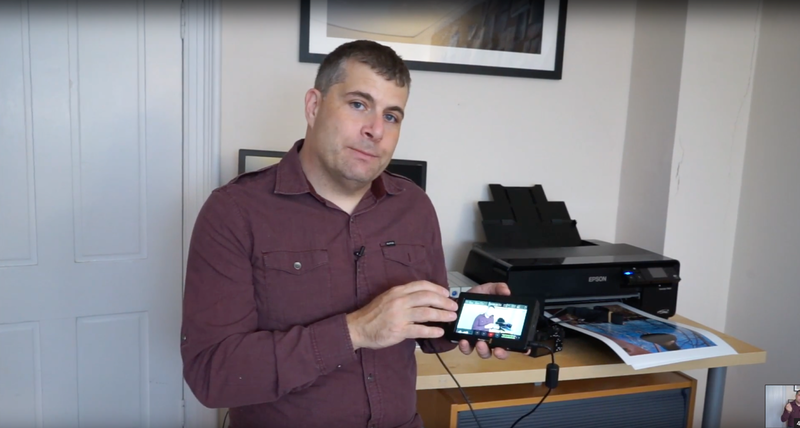 While the portability of a digital camera is convenient, it takes a lot of work (and often a lot of reshoots) to ensure that the video was focused correctly. This is doubly true when it comes to manual-focus video work—there’s just not enough resolution in the built-in screens to see if critical focus has been achieved. The Blackmagic Video Assist is a combination external viewer, controller and recorder. Hooking the Blackmagic Video Assist up to the HDMI port changes the whole process of capturing video. It’s possible to compose with accuracy, stop and start the recording, and—thanks to the processing power of the device—record video at a higher quality than is possible with the built-in SD or CF slots in the camera. In our Blackmagic Video Assist review, we take a look at the device, to see if it lives up to its promise of enabling much more creative video production with less guesswork. The Blackmagic Video Assist comes in two sizes, a 5-inch version and a 7-inch one. The 5-inch version only records in HD, which is good for those who only occasionally shoot video or only work in HD, but we’d recommend the 7-inch, which is capable of native 4K video recording and display. The 5-inch Video Assist retails for $495, and the 7-inch version goes for $895. Whichever one you choose, they’re both great deals and indispensable tools for a videographer or photographer shooting some video. Check out our video review to hear more of what this device is capable of and why we think it’s a must-have tool.